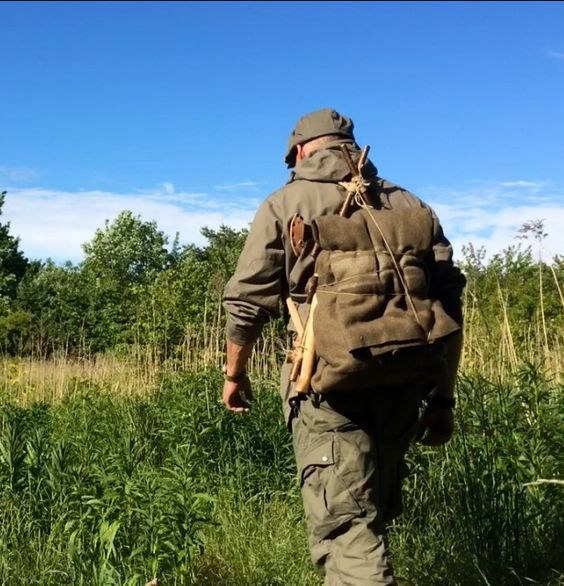 How to become a bushcraft instructor is the question I will answer to you in this article. Although this kind of job requires many qualifications, it is absolutely interesting and desirable. If you are adventurous, becoming a bushcraft instructor gives you opportunities to explore the wild a lots. If you are sociable, it is a chance for you to connect with strangers and make new friends. It is so interesting and challenging that why won’t you try it? To become a bushcraft instructor, you have to satisfy a wide range of requirements on certificate, knowledge and skills. Meeting all these needs is a long and difficult process. Here are some tips for you to do it easier. Instructor is a dignified career. Instructors play an indispensable role of our live. They teach us knowledge, contribute to build our personality and prepare us for life. All of us have many teachers in our lifetime. Maybe you just have a vague memory about them or maybe you have an unforgettable impression on them. Although they are differ from each other, I am sure that their characters have some basic similarities. These characters are the ones that a good instructor require. Being a bushcraft instructor is not an exception. You have to cultivate these needed characters. Besides all the specialised knowledge , you should train your teaching skills too. Teaching skills are the methods, the approaches you use to deliver knowledge. It can be said that the more skillful you are, the better bushcraft instructor you become. It is useless if you have deep knowledge and bushcraft skills but can not transmit them. Goods teaching skills help you present knowledge and students absorb it better. It is the reason why you have to practice and improve your teaching skills in front of the class. You should pose and answer some questions like: What is the main content of the lesson? How many example should I give? How many activities are there in the lesson? How long will they take?… They can help you organise your lesson better. Create friendly environment, give more creative games and tasks, encourage more discussions in class, be humor… are methods to motivate your student. The more interested your students are, the more effective your lesson is. You have to control your emotion under any circumstances. No matter what happens, you must always be patient, delicate and honest to build trust and cooperation between you and your students. Bushcraft instructor is a difficult career. We all know that the wild has many threats to our live and just a small mistake can cause a serious consequence. Therefore, when you teach bushcraft skills, you have to instruct them precisely, carefully and fully all the knowledge and skills to minimize every potential danger. To achieve that purpose, a bushcraft instructor must have a deep understanding of the wild and master bushcraft skills. Only when you are proficient can you give your student the best instruction. So never stop to improve yourself. Not all the professional instructors educate from university or education centre. They can be explorers, tour guides, boy scouts or simply the ones who have a great passion for bushcraft. They have much experiences to deal with difficulties in the wild, which is beneficial to be good instructor. However, their experience is not systematic. Universities and centres of education can provide you the most logical knowledge and training system. So if it is possible, you should take a course to be a bushcraft instructor. Besides, having a certificate can help you find a job easier and make your students more convinced of you. Nowadays, there are many universities and education centres all around the world. They organize many courses every year. Everyone has their own point of view. Depending on other opinions, you can have more suggestions and get a more comprehensive view. Normally, each course is held in a different way. It can have more theory and less practice sessions, it will be indoor or outdoor, you will learn with a team, a partner or alone… The time, place, content, teacher and facility of the course should all be under consideration. There are many choices for you. Whether you have known or not, pay attention to the lessons of the course. Knowledge is unlimited and updated everyday. So it is wise to take advantage of any opportunity to study and revise your knowledge. It is also a chance for you to consult how they deliver the learning program. In conclusion, becoming a bushcraft instructor is a long process. It requires your great perseverance and effort to achieve. Remember four things: cultivating needed characters, practicing and improving your teaching skills, broadening knowledge and mastering bushcraft skills and getting certificate. They are all I want to give you.